Andhra Pradesh & the more recently formed Telangana, occupy a large swath of central southern India. An interesting and often overlooked destination, there is a wealth of heritage sites, forts, monuments, virgin coastline and wildlife sanctuaries. The cuisine of the region is also unique and famed of its spicy red chilies. 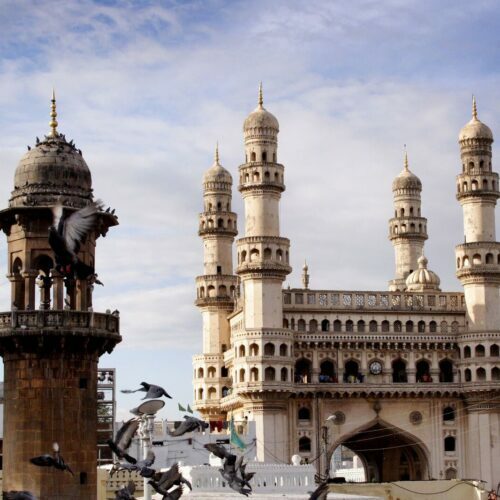 Here the joint capital city of both states, Hyderabad is a compelling city with a strong Mughal influence filled with endless bazaars, ancient Islamic monuments, ornate tombs, mosques and Palaces. The iconic four-column structure of Charminar is the principle landmark, commemorating the founding of the city built in 1591. 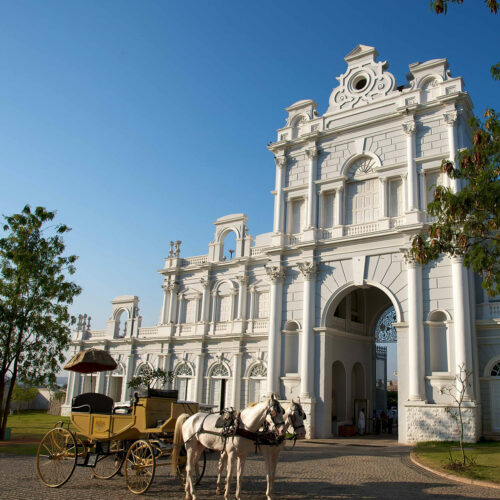 The eccentric Salar Jung museum is filled with some extraordinary artifacts and the mighty citadel, Golconda Fort is well worth a visit built high on hill to the west of the city, the former diamond capital of the world back in 1600’s. Once the seat of great wealth and power with the Qutb Shahi and Asaf Jahi dynasties, Hyderabad has once again experienced a surge in prosperity with the 1990’s seeing the growth and arrival of ‘Cyberabad’ one of the country’s main strongholds of the mighty technology industry. This new wealth brought with it a culture of fine dining and nightlife with plenty to offer the discerning traveller. 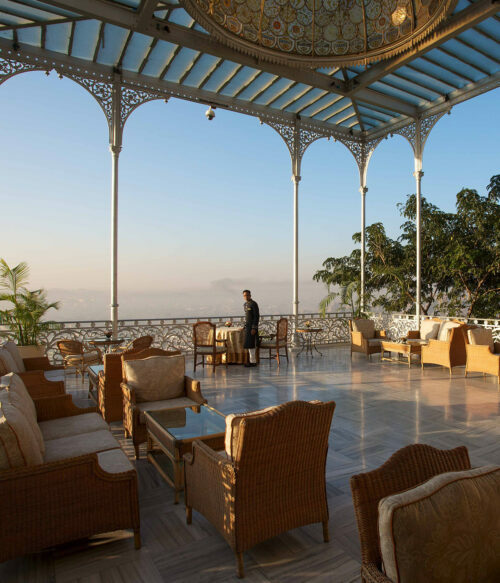 The meticulous renovation of the Taj Falaknuma Palace, ‘palace in the sky’ is really a marvel to behold. Offering a whimsical wander back in time to the grand opulence of yester-year. Andhra Pradesh is home to the second longest stretch of coastline in India and several cultural landmarks. In the holy temple town of Tirumala you will find the mighty Tirumala Venkateswara Temple a very important Hindu shrine to Vishnu, firmly on the pilgrim trail. Lepakshi is a small rural village founded in the 16th century during the reign of the Vijayanagara King and is also considered a heritage and pilgrimage site.